COLOR(S): White, with or without patches of badger, wolf-grey, tan or pale yellow. COLOR(S): Short, fine and glossy. The coat is smooth and sleek. The Italian Greyhound, sometimes is referred to as the "IG". This breed is the smallest of the sighthounds. They are elegant, miniature fine-bond breed with a long head thinning gradually to a pointed muzzle. They are very similar to the Greyhound, but are much smaller and more slender in all proportions. These dogs are lively, happy and full of good spirits and want to please. They crave affection and returns it gladly.The Italian Greyhound will adapt well to indoor living. Prone to chills and should be kept in a draft-free environment and given a warm bed to snuggle in. Italian Greyhounds are not a noisy dog. They get along well with other pets. They are a clean, odorless dog. Handle your Italian Greyhound very gently and do not placed in a noisy household. The Italian Greyhound is playful and intelligent, generally these dogs are not difficult to train provided their handler is consistent with them. They are gentle, submissive and affectionate dogs. They become very attached to the masters and can be reserved with strangers. They are often naughty and aware of it. They can be high strung and timid and must be handled very gently. This is a pet for a quiet household where there are no lively children, although they do get along well with behaved children and other dogs and cats. This breed is very dependent and peaceful. Can be snappish if it is frightened. This dog can be difficult to housebreak. They are generally easy to get along with and take care of. This dog is extremely fast! Young Italian Greyhounds are very active. They are not good companions for large dogs. They do get along well with other Italian Greyhounds and some recommend that you have more than one of this fine breed. 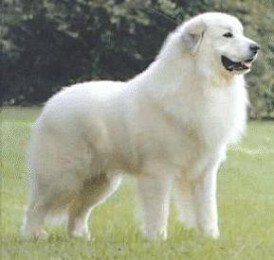 They have a short, fine and glossy coat. They are one of the easiest dogs to groom. All that is needed to keep the fine, silky coat gleaming is a rubdown with a piece of toweling or chamois. Only bathe when absolutely necessary. This breed sheds little to no hair. Italian Greyhounds are easy to groom. They require a rub down with a soft cloth or chemise. Bathe only when necessary, but take care that they are thoroughly dry and warm afterwards. Italian Greyhounds can get cold easily, and need warmth. Italian Greyhounds are very thin, making them prone to broken legs and slipped kneecaps. Other health concerns include hereditary eye problems, autoimmune disease, hypothyroidism, and Legg-Perthes disease. Free play and regular walks will keep an Italian Greyhound in shape. In fact, just following their owner around the house all day can also do the trick! Indoors, city or country, apartment or house, the IG needs daily exercise and attention. The owner of an Italian Greyhound should be a patient leader who desires a high-energy, delicate, affectionate toy dog. The best owner for this breed would be a gentle person or family living in a city or suburban environment.